Here, we look at how cold weather can literally be a killer. With Canada’s deep freeze winter upon us, it’s important to be aware of how very cold weather affects the cardiovascular system—even if you’re not shovelling snow, which can be a killer. “It has been shown by many, many studies that there are more heart attacks in the December-January time frame,” Dr. Samin Sharma, cardiologist at Mount Sinai Hospital in New York, told Accuweather. While intense cardio exercise itself puts a strain on the heart, cold weather exertion can even put an otherwise healthy person at risk, Dr. Sharma suggested, because cold causes arteries to constrict. “Cold weather sometimes creates a perfect storm of risk factors for cardiovascular problems,” says Dr. Randall Zusman, a cardiologist with Massachusetts General Hospital, in a report from Harvard Medical School. Cold weather can decrease the supply of oxygen-rich blood to your heart muscle. And it can put you in situations that force your heart to work harder, resulting in a demand for even more oxygen-rich blood. This mismatch—a smaller supply of oxygen to the heart coupled with a greater demand for oxygen by the heart—can be a set-up for a heart attack. Also, cortisone levels fluctuate in colder weather, causing platelets to become “sticky,” Dr. Sharma said. As well, your heart has to work harder in cold weather to maintain the body’s core temperature. And if you’re walking through heavy snow and wearing heavy clothing, or exercising in the cold, your heart is working even harder. “Be especially careful about exerting yourself outdoors in winter,” advises Dr. Zusman. Even walking briskly against a strong wind can burden the heart. Exertion increases the heart’s demand for oxygen. “If there’s a blockage in a heart artery that reduces blood flow to the heart muscle, supply may not be sufficient to meet the demand,” says Dr. Zusman. And many people are not even aware that they have a blockage. 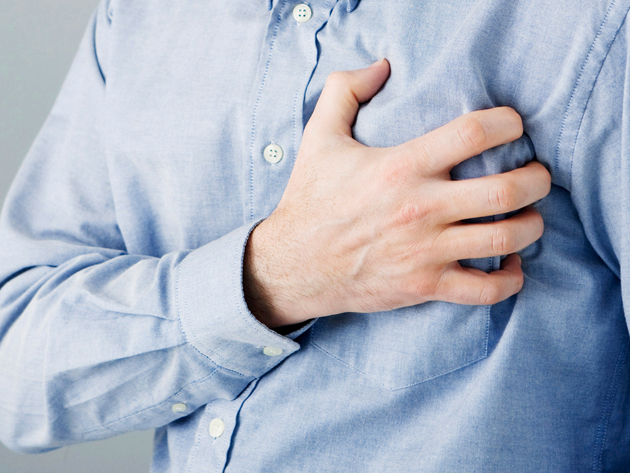 Research has shown that heart attacks are 33 to 50 per cent more likely in winter than in summer and that there are twice as many heart attacks on a day in January compared to a day in July. One British study found that each 1.8 degree Fahrenheit drop in temperature on any given day was linked to about 200 additional heart attacks. Most vulnerable to cold weather cardiovascular events are people who already have such risk factors as smoking, high blood pressure, high cholesterol, diabetes, family history, and obesity and people over the age of 70.